Upgrading your doors not only increases the curb appeal of your home, it will make your home more comfortable and energy efficient. Old doors are drafty and can transfer an enormous amount of heat and cold through conduction of an under insulated door slab. Ceccola Construction offers steel and fiberglass entry doors from Therma-Tru and Pella as well as Simpson Wood doors. All doors we offer carry the Energy Star Rating. 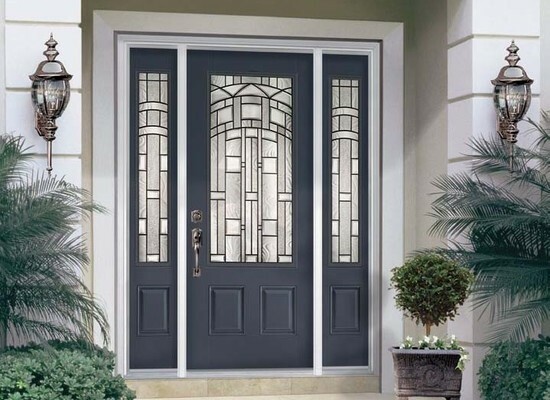 Dozens of glass design and hardware options ensure your new door is unique and beautiful. All doors can be factory painted or stained.